For some reason, baby doesn’t want me eating a ton of animal products. I just simply doesn’t sound appetizing to me. So I’ve cut way back on it. Unfortunately, my go-to breakfast always had eggs in it. I slowly started transitioning into oatmeal. 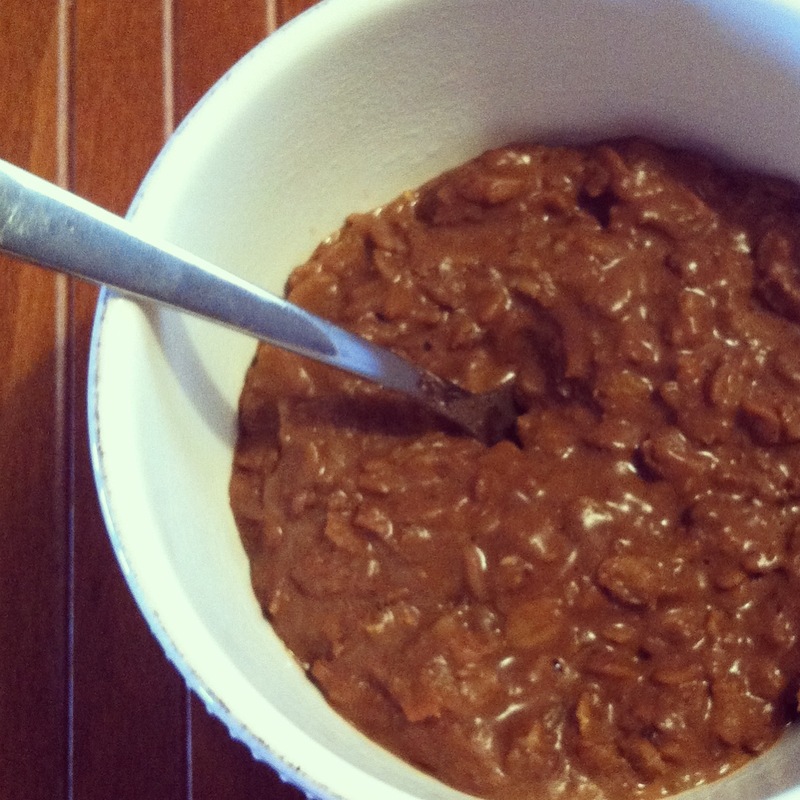 I like oatmeal, but sometimes it can be, let’s face it, BLAH! So I’ve been playing around with a few ingredients and came up with this sinfully good oatmeal that even the kids will love. In a pot over high heat, pour in the almond milk and oats. This will help the flavor to really pop! Bring to a boil and then reduce to a simmer. Stir in the cocoa powder, honey, cinnamon, and salt until mixed well. Simmer until oatmeal has thickened to the texture you want. Adjust seasoning to your taste, and garnish with chopped almonds.